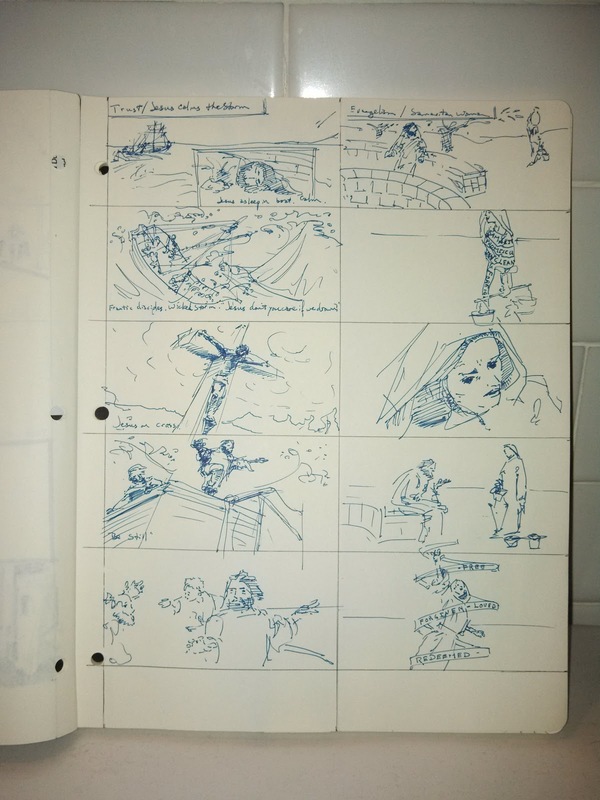 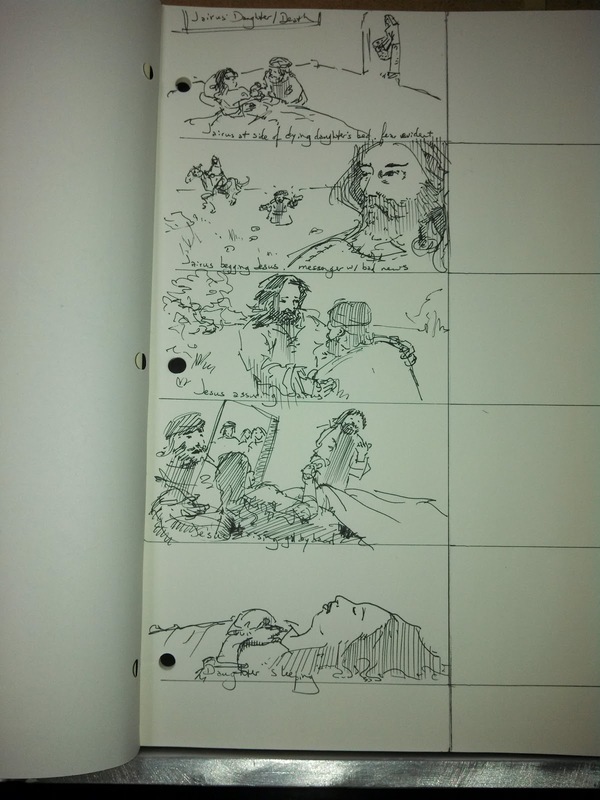 These are first sketches for 3 illustrated Bible story sequences to be included in an exciting new video project. I don't think I can say who it's for, but the project looks great! The sequences posted here read from the top down.